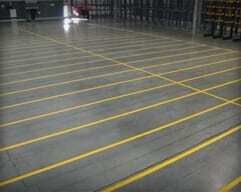 ASG Services most popular method of warehouse striping is unquestionably shot blast floor striping. Our investment in the latest floor preparation developments means ASG Services can remove very precise amounts of concrete floor, to specific widths. 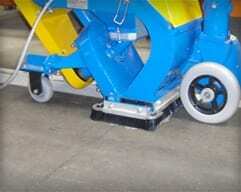 Shot blast floor striping installed using this equipment prevents the floor from being left unsealed, since the blast face is the same width as the coating applied. Our shot blast machine fires highly control shot at the concrete within a captive system. On impact, the concrete surface breaks away in fine parts, revealing a fresh and roughened surface beneath. This process is clean and controlled by a vacuum system, preventing dust and debris leaving the machine. 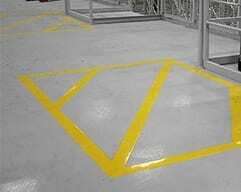 The chosen paint system is then sprayed or roller applied, creating one of the most durable floor striping systems available. 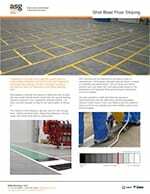 Forklift impact is massively reduced thanks to the low profile of the shot blast floor striping method. The paint also forms a far greater key or adhesion with the prepared surface, making the bond incredibly tough. 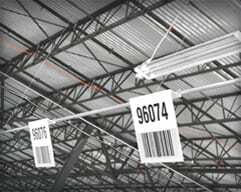 The system is not indestructible, however customers typically contact ASG Services anything between 4 and 5 years for a recoat. 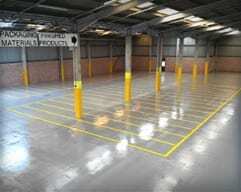 Shot blasted floor striping can be removed and the floor resealed, or customers can simply have the markings grayed out. We ask that with any floor striping installation, the customer to clean the floor thoroughly. This is also the case with shot blasted floor striping as we often use adhesive tape to mask areas of the floor prior to applying the paint system. 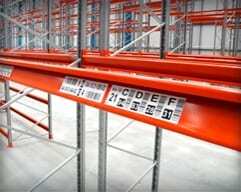 All warehouse floor striping projects carried out by ASG Services are treated with the same meticulous attention to detail and consideration. 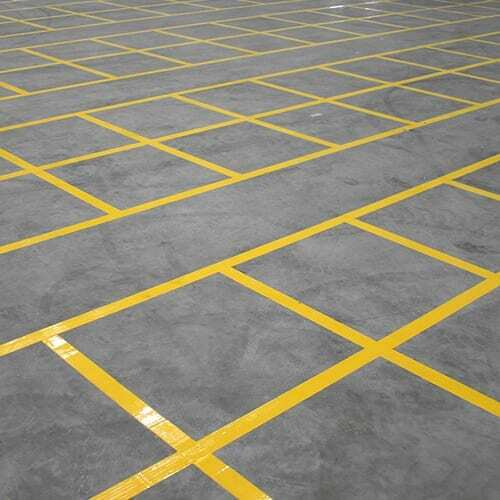 Customers are individual, each operating in different ways, so we provide floor layout maps showing areas to be completed per day, which can be prioritized in conjunction with stock movements and requirements. Our project and installation teams work as one to ensure the installation maintains continued progress, there are occasions where customers are unable to allow access for one reason or another, which is why we focus on a flexible planning approach. 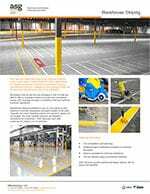 All of ASG Services installation teams are fully trained and insured to work on all customer sites and have the knowledge and expertise to provide a complete shot blast floor striping installation by the deadline. Call us on (877) 447-9798 to discuss your situation and plans, we know this can be a big deal for your operation and will work closely with you on it. 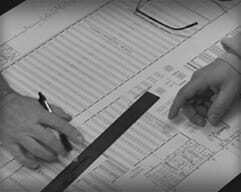 If you have drawings, phones or other documents, share your ideas on email and we can start work on planning, pricing or offering further advice.